The idea of a regional pairing is pretty fundamental. 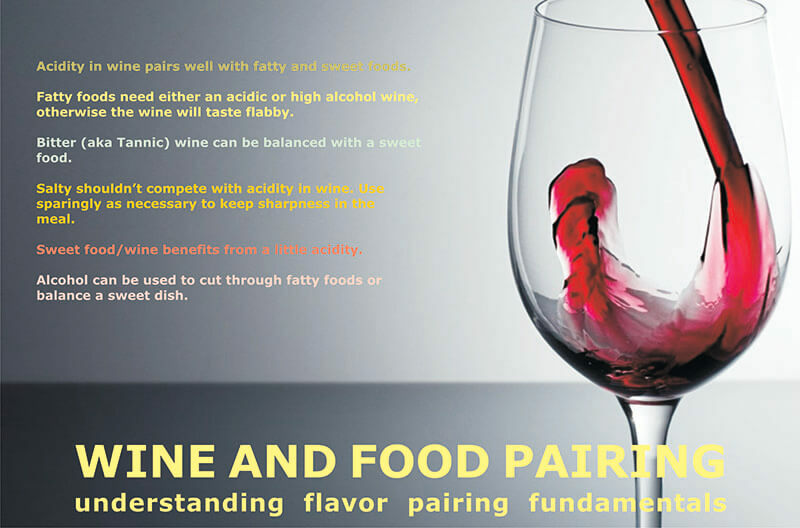 Regional matches aren’t always the perfect pairing, however they provide a template for us to understand more about what’s going on structurally with wine & food pairings. If the wine has less acidity than the food, the wine will taste flat. An easy visualization for acids out-of-balance is a glass of oaked warm climate chardonnay with a vinaigrette salad. If you love maple bacon, candied pecans and salted caramels, a wine and food pairing of a sweet wine with a salty food will probably delight you. Bitter does not go well with more bitter, which is the primary reason why people loath red wine and chocolate pairings. This is the classic steak with red wine food pairing, however, we can do better than that. Take a red wine with lots of cherry flavors and pair the wine with an herbed potato croquette, roasted red tomatoes and rocket. Suddenly you have a dish that has the tannin balanced with the fat in the croquette and a congruent flavor in the dish and wine (tomato and cherry) that elevate each other. Nothing like a glass of champagne to cut the fat. A high acid drink will add a range of interesting flavors to a lipid heavy dish. The white wine in the butter sauce livens up the whole dish. So when you are in a situation where there is something fatty like cheese cake, get a glass of something bubbly and zippy. The alcohol taste actually comes across as acidity so a lot of the same ideologies of the Acid + Fat category pass over into Alcohol + Fat. Looking at an alcohol + fat category as a way to mitigate high-speed food consumption. 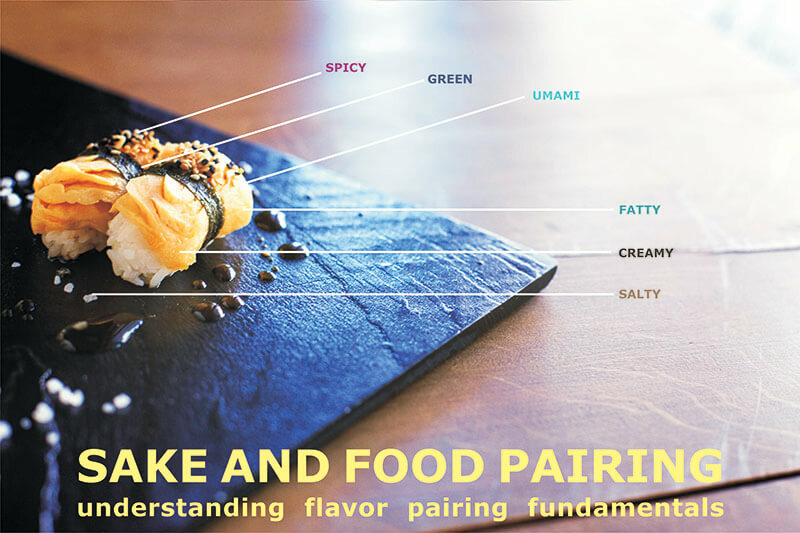 You can use the alcohol + fat category often for dessert pairing.